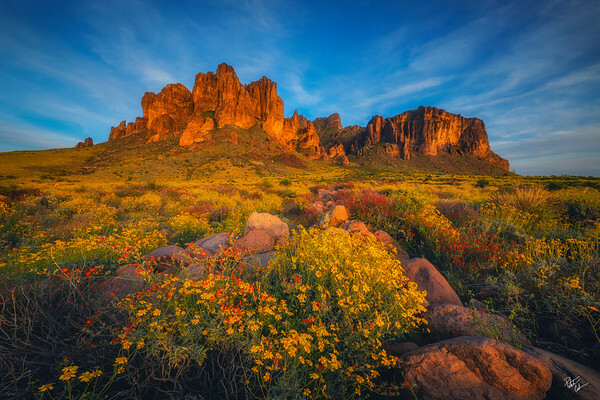 An Idyllic spring scene beneath the Superstition Mountains. I made multiple trips out during this spring to take advantage of the colorful blooms of brittlebush, chuparosa, and globemallow flowers. The late afternoon light turned the landscape gold as it was complimented by partly cloudy blue skies. 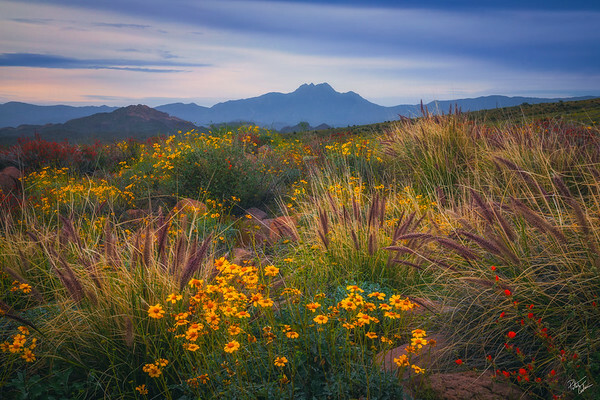 Desert wildflowers including brittlbush, chuparosa, and globemallow bloom amid desert grasses as the four peaks rises above in the distance. Amazing that just a month prior to this image, the mountain in the background was covered in two feet of snow. Crimson light over on the Superstition Mountains as they tower above carpets of brittlebush and chuparosa blooms during sunset. 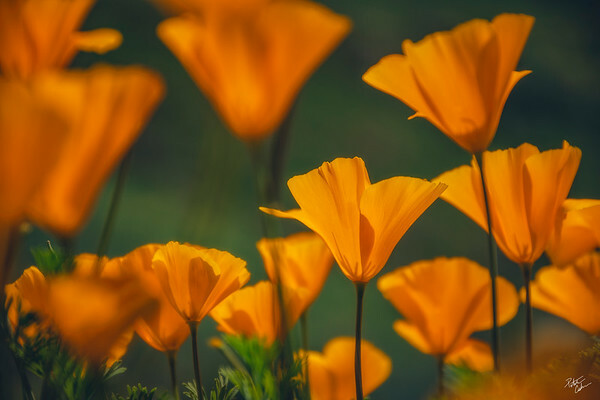 A patch of Mexican gold poppies dance in the sun as they bloom in the last days of winter in the Superstition Mountains. 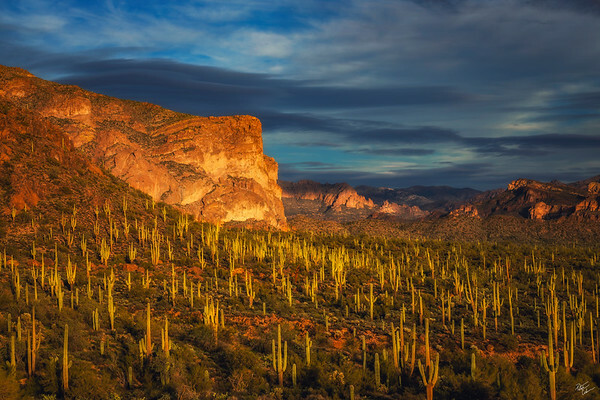 The first golden rays of sunlight brighten up and illuminate the Superstition Mountains and the cactus gardens below. 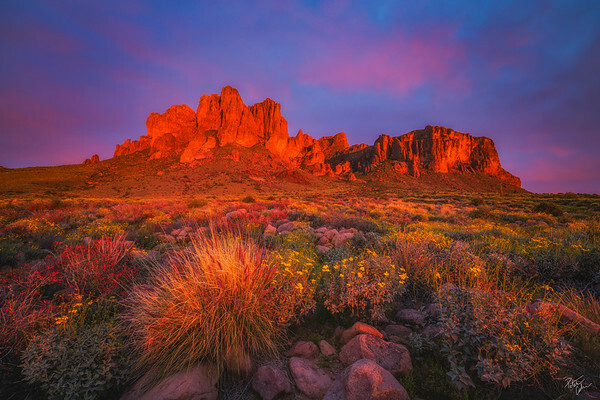 A colorful sunrise over a rugged peak in the Superstition Mountains. 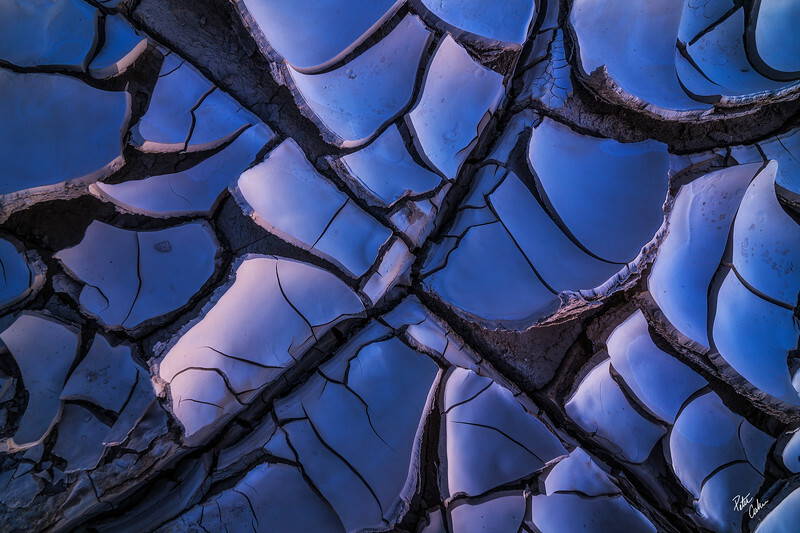 With frequent winter rains, the desert landscape was as lush and vibrant in color as any year I can recall. An organ pipe skeleton rests amid lush greens and more prosperous organ pipes and Saguaro cacti. 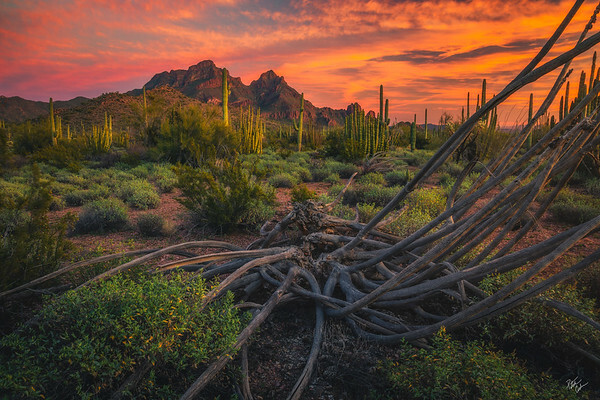 Colorful sunset skies cast a warm glow on the surrounding mountains in Organ Pipe Cactus National Monument, Arizona. A large Organ Pipe cactus glows in the setting sun during a long exposure as the clouds streak through the sky. Late afternoon light shines on a sea of Saguaro cacti and cliffs in the Superstition Mountains as dramatic clouds breeze across the landscape. Just a few minutes down the road from my home I am fortunate to be able to enjoy expansive views like this in the Sonoran Desert. A distant stormy sunset glowing above the eastern Superstition Mountains and Peralta Canyon photographed with my 70-200mm zoom lens. 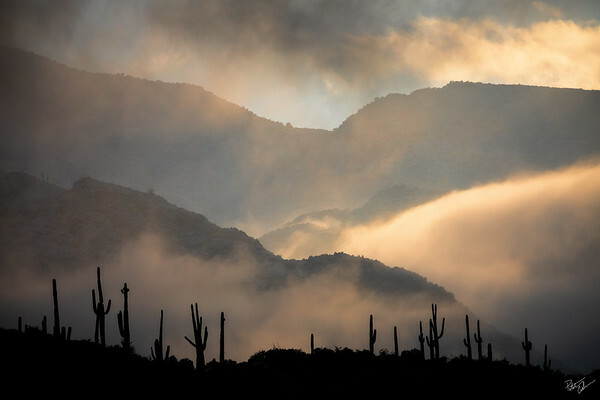 A row of silhouetted Saguaro cacti watch as layers of low clouds lift off freshly snow capped foothills in the Superstition Mountains.